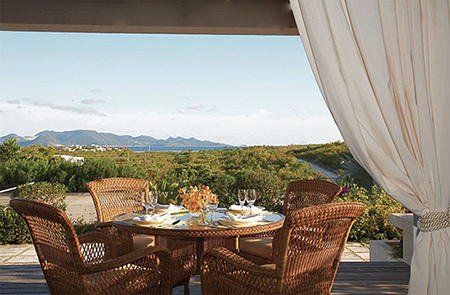 "That" time of the year is certainly upon us here in Anguilla! Hotels have opened their doors, mouthwatering aromas are flowing from our favorite eateries and there's that busy buzz in the air. First, we got a direct hit from Hurricane Gonzalo! A slow-moving storm that appeared quickly and grew out of the middle of the Caribbean, it was supposed to be a small Tropical Storm. Tropical Storm no more. We took a direct hit from a Category 1 Hurricane. Winds howled and seas surged. Days of repairs followed. Luckily, the damage was minimal with mostly landscaping damage and poles and lines down in certain areas of the island. 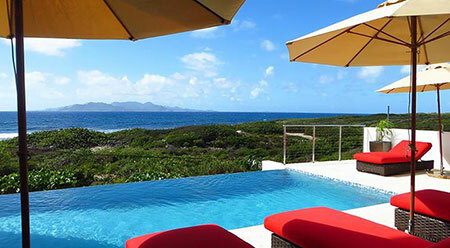 Fast-acting and hard-working, Anguilla is an amazing country. All has been restored. The island is in tip top shape for the upcoming season. Already, most businesses have re-opened, including Mango's who were hit rather hard (see photo below for their signature sea grape trees which were torn apart). They will be re-opening tomorrow. Also, on the note recoveries post-Gonzalo, many have emailed asking about the state of Meads Bay and Carimar Beach Club. 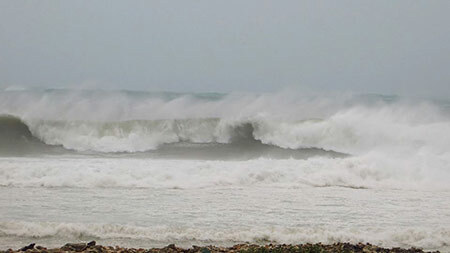 Meads Bay didn't suffer much damage. The strong North swells (which followed the storm) brought a sand bank to the far eastern and western edges of the beach, but that has leveled out and the beach is looking as good as ever! Carimar handled the storm well with only a bit of landscaping repairs, which were quickly fixed. And, this year, they have enhanced their concierge services, too. Get in touch with them before arriving and their accommodating staff will help you organize your stay, making it blissfully smooth upon your arrival. Second, one of the biggest re-openings of the season so far? Malliouhana, an Auberge Resort. 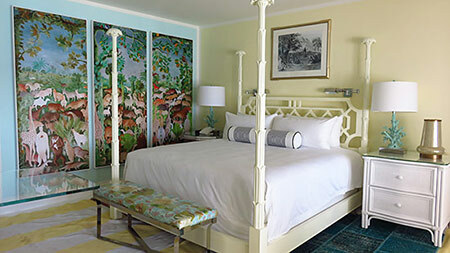 Auberge Resorts, the new owners, have done a tremendous job at keeping the classic feel of the old Malliouhana we loved so much while adding new, luxurious touches and finishings. Elegant and timeless in every way (and with that Caribbean feel), it's been upgraded with all of the modern amenities of a leading 21st century resort. Instead of trying to stretch resources and "open big," they have focused on key areas of the hotel. The main hotel house has been overhauled, 44 rooms are currently available and their dining experience is quickly becoming one of the very best on the island. 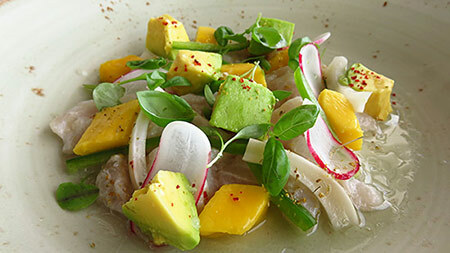 Chef Jeremy Bearman is bringing the Restaurant at Malliouhana back to its former glory (the snapper crudo is a terrific, light lunch choice! See photo below.). Exceptional job, Malliouhana. We are so happy to have you back. 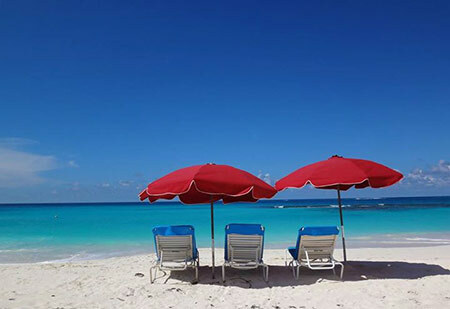 Yes, the Grand Dame has returned to her throne on Meads Bay! Our full tour of Malliouhana, an Auberge Resort. 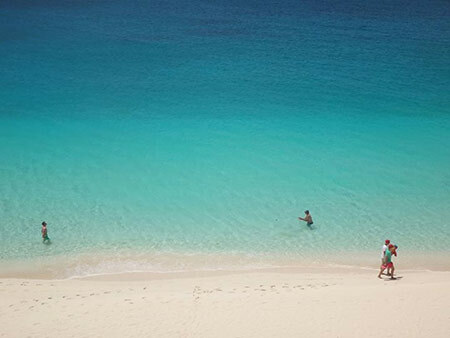 Each and every one of Anguilla beaches soothes, heals and rejuvenates! This little-known spot has been gaining popularity since it opened its doors in April of this year. Owner and Chef Ken Lin, a passionate and hard-working man, always wows with his exceptional cuisine, warm, friendly, efficient staff and a cool, light atmosphere. 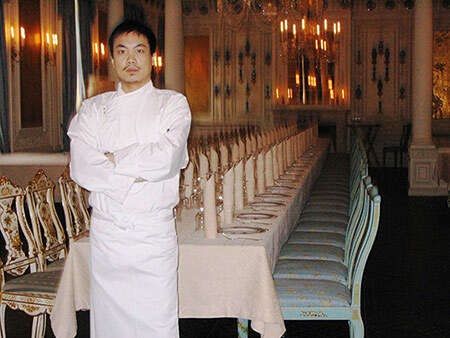 Originally from Taiwan, he has worked all over the globe, including at the high-end Turandot in Moscow. 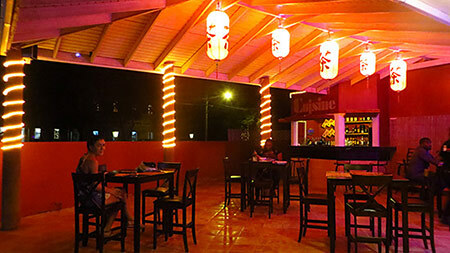 Inside his Anguillian-Asian dining room, Chef Ken serves authentic Asian cuisine. 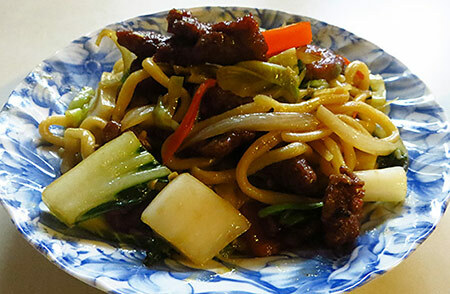 Perfectly prepared pieces of beef are mixed in with veggies and those thick, Japanese noodles. In addition to his fixed menu, Ken prepares specials on occasion. 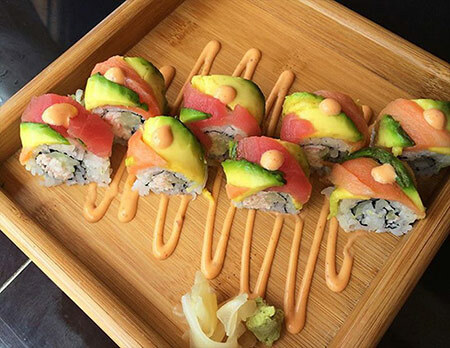 The Rainbow City roll is a beautiful creation that celebrates Anguilla. Ken's Anguillian crayfish tempura, available on his Thursday Sake Nights, are another excellent pick. Quickly becoming a popular hangout for locals and visitors alike, Cha Cha San gets it right every time! More on Cha Cha San here. With an arctic blast sweeping the United States, and with Thanksgiving just one week away, the timing is right for a warm, tropical family getaway to Tequila Sunrise Villa! Private, spacious (with 3 suite-style bedrooms), with a private pool and a beach just a 2 minute walk away, Tequila Sunrise Villa is the perfect spot for a family vacation. This Thanksgiving they will be serving a complimentary Thanksgiving dinner prepared in-villa to guests who book a 1 week stay for 2 or 3 bedrooms between Nov. 22 and Nov. 29. An affordable villa with all of the comforts of home, Little Butterfly is widely loved for its luxurious amenities and warm service. 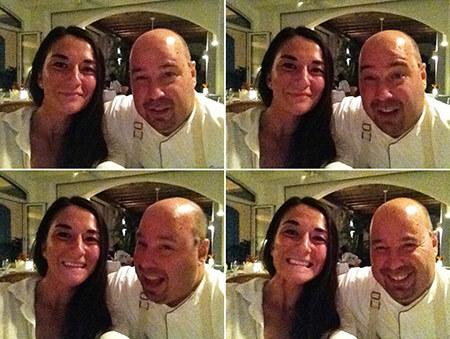 Earlier this month I had the opportunity to meet with CuisinArt's Executive Chef Jasper Schneider. A man with a tremendous amount of experience (from attending one of the top culinary schools in the world to working with renowned chefs), he has brought all of his knowledge and expertise to Anguilla. From Tokyo Bay to Italia to Cafe Med, all of the menus have been overhauled with a high attention to detail (choosing the best ingredients) and brand new, innovative menu items. My Dad and I dined at the resort's signature restaurant, Le Bistro at Santorini ("Le Bistro" for short) two weeks ago and were blown away. This restaurant is anything but typical. The menu is truly gourmet with modern, creative dishes perfectly executed. Pico de gallo cevice. Open-face foie gras sandwich. 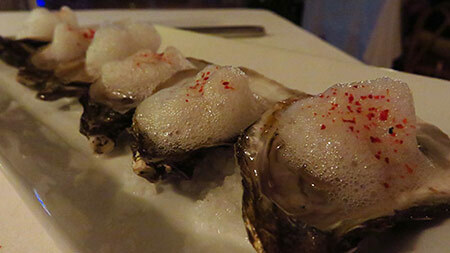 Oysters on the half shell with whipped pickled shallot mignonette. All dishes are equal part interesting and a delight to the palate. I must commend Chef Jasper on everything he has accomplished. With a terrific team, including Sous Chef Jonathan Hughes (his family owns E's Oven), the quality of CuisinArt's restaurants is setting new standards for both the resort and the island itself. Chef Jasper, we are lucky to have you! More on Le Bistro here. Slyco A NEW find in The Valley, this food truck serves up excellent eats at affordable prices. Their burgers, fries and pasta come highly recommended! Falcon Nest Right on the beach in Island Harbour, Falcon Nest opened a couple of months back to much acclaim. For only $15, their Mahi Mahi meal is the one to get. This spot joins our list of beach bar favorites. Cocono's Set in Blowing Point village, Cocono's serves up good, old fashioned Anguillian homecooking. Think: stewed oxtail, macaroni pie and other tasty Caribbean comfort foods. West End's Best Buy My Mom, Janice reports on the big, beautiful grocery store in Anguilla's West End. Driving in Anguilla Driving on the left-hand side of the road can be an intimidating thought! This guide shares the ins and outs of driving the island. 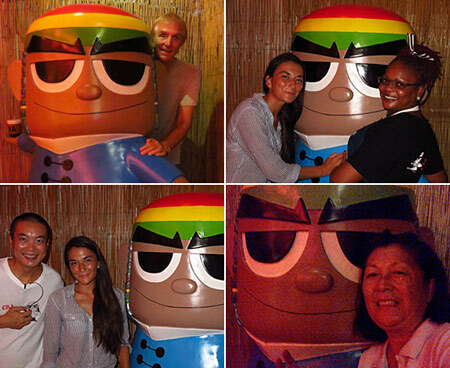 ACOCI's Anguilla Golf Tournament Taking place December 13 2014, Anguilla's Chamber of Commerce and Industry is holding their popular and fun fundraiser tournament at CuisinArt Golf Club. All funds raised go to an excellent cause! da'Vida Has re-opened with a new tapas and dinner menu. Updates coming soon. Hitting 25,000 Likes on Facebook! We hit a huge milestone at the end of last month. 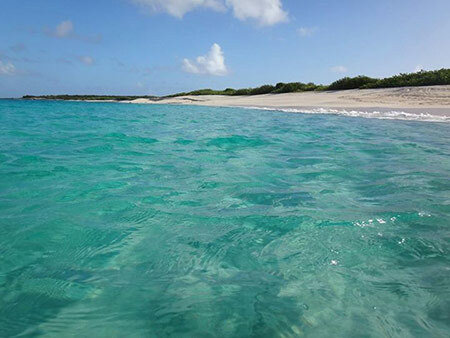 Our Anguilla Facebook page reached 25,000 Likes! Thank you for each and every one of your Likes. 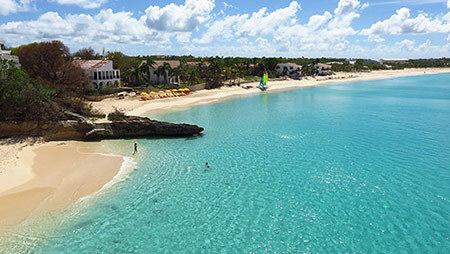 All of the love for Anguilla that you have shared through your Likes, Comments and Shares makes me certain of one thing... there's no place like AXA. To preserve the warmest memories shared, we assembled a best of the best of Facebook webpage. With 1,000+ posts to our Facebook page, any single post gets lost in Facebook's endless scroll. This webpage brings your favorite Facebook posts front and center! If you haven't yet Liked our Facebook page, please click here. 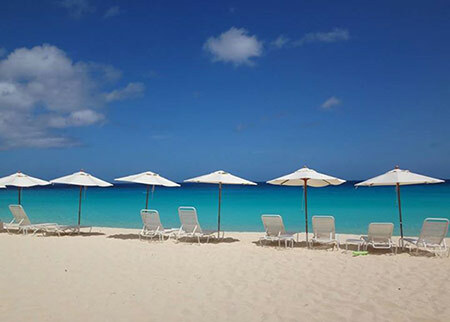 Once you press "Like" you will get a daily dose of Anguilla sun and sand to your News Feed. And on that note... what is coming next? 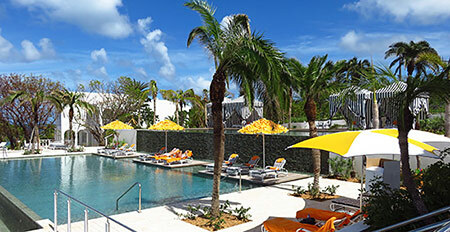 We have been hard at work growing the Anguilla Card and developing an especially exciting, new project! 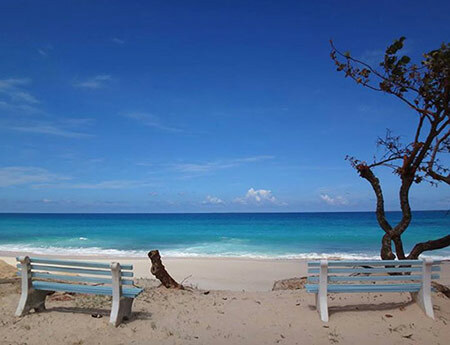 NEW Anguilla Card Partners, an Anguilla Card Holder contest and exclusive giveaway, and that brand new project... it will all be unveiled in our next Newsletter going out in December. 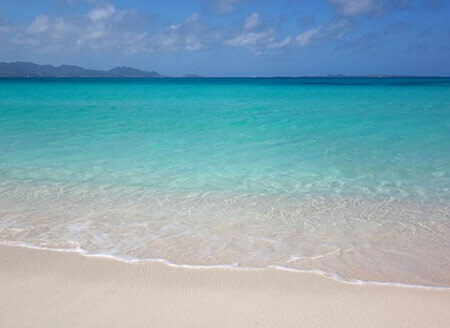 In the meantime, here's sending you warm wishes from Anguilla!